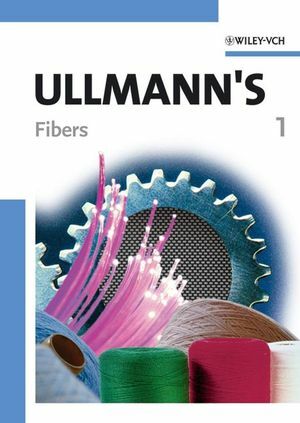 Ullmann's Fibers is a convenient source of information for chemists, engineers, material scientists as well as professionals in the textile industry. Based on the latest online edition of Ullmann's Encyclopedia of Industrial Chemistry, and containing contributions never seen before in print -- e.g. cutting-edge information on nano carbon materials, carbon fibers, and fiber optics -- this ready reference meets the need for a comprehensive survey of the fundamentals, production technologies, and applications of all types of fibers. Since the entire 40-volume Ullmann's Encyclopedia is inaccessible to many readers -- particularly individuals, smaller companies or institutes -- this handbook condenses all the necessary information. The detailed and meticulously edited articles have been written by renowned experts from industry and academia, with much of the information thoroughly revised. Deeper insights into any given area of interest is offered by referenced contributions, while rapid access to a particular subject is enhanced by both a keyword and author index.